Car emissions are often attributed as one of the reasons behind global warming. With literally billions of cars on the road – and only a tiny, almost insignificant percentage currently running on renewable or low emission fuel – you can see why it is important to try and get the best fuel economy from your car. On a more fiscal level, getting the best fuel economy from your car will obviously save you money. Although the savings on each visit to the pump may not be huge, over a period of time the saving will mount up. And the great news is that there are a number of things you can do to improve fuel efficiency without spending a penny. 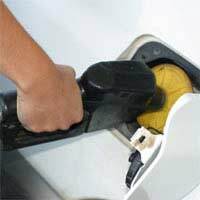 The first tip for improving you car’s fuel economy without spending extra money is to not rely on gadgets. There are quite a few ‘fuel saving’ contraptions currently available on the market - such as magnetic devices - that claim to increase your car’s fuel efficiency. These claims should be taken with a pinch of salt. The devices may not really make a significant difference, and in the US manufacturers of such appliances have been taken to court over their claims. One of the best things you can do is to inflate your tyres close to the maximum pressure as stated in your car’s handbook. Never exceed this pressure. Inflating the tyres enables the wheels of your car to roll more smoothly against the surface of the road. Basically this allows the car to use less energy (fuel) to propel itself forwards. Once the tyres are inflated to this pressure, check them regularly as they may need topping up from time to time. However you should bear in mind that when the roads are slippery or muddy, having your tyres inflated can sometimes increase the chances of skidding and sliding. Another money-saving tip you can easily undertake is to remove any extras from your car. Got an empty roof rack that’s only used once in a blue moon? By removing the rack, you’re making the car lighter. In the long run you may be surprised at how much fuel this can save you. Likewise, if you have any tools or unnecessary equipment stored in your car’s boot, by simply removing it again you’ll be saving yourself the cost of ferrying around extra goods. Always try to opt for a good quality fuel. This doesn’t necessarily mean spending extra on ‘optimum’ unleaded fuel types, but being choosier about where you stop to refuel your car. Try to opt for a petrol company that has it’s own oil refineries, as these tend to guarantee better quality fuel. And better quality fuel will take your further for less money. Strictly speaking, changing your air filter will mean you’ll be spending money. However, this is something that should be done as and when required, so technically it’s something you’ll be doing anyway! But the real fuel-saving tip here is when you do need to make the change, stay away from budget air filters. The more expensive filters tend to have larger surface areas, thus increasing the fuel efficiency in your car. Another way to boost the fuel economy of your car is to adapt the way you accelerate. The best fuel-saving method is to accelerate fairly quickly to your desired speed. Then once at the speed you wish to travel at just use the accelerator pedal lightly as and when needed. Revving the engine and ‘stopping and starting’ quickly will just use up fuel that you could otherwise have saved. Be gentle with your motor and you’ll be repaid in less engine and clutch wear and tear, as well as a few extra pounds in your pocket!